The Landover Baptist Church Forum > Church Forums > Promise Enforcers - Men Only! Promise Enforcers - Men Only! We make Promise Keepers look like homers! No homosexuals or women allowed! 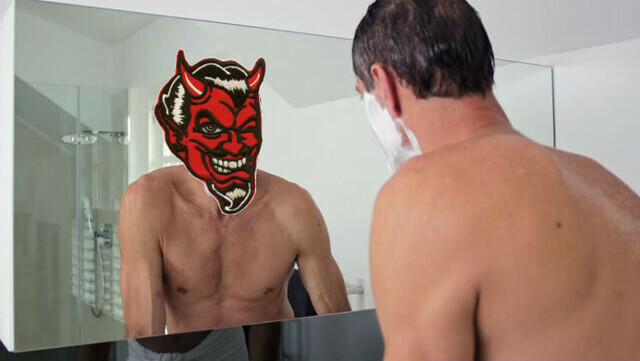 Brothers, I feel it necessary to remind you all that shaving your beard is a sin. The goatee is an especially abominable style, as we shall see. There are two reasons why shaving is sinful. First, it is a pagan practice. Second, it promotes transgenderism. The Ancient Egyptians used to be clean shaven, except during times of mourning, and sometimes some of them would wear a ceremonial strap-on goatee. When God called His people out of Egypt, He commanded them not to shave their cheeks. He equates this with other pagan practices such as using enchantment and observing times. 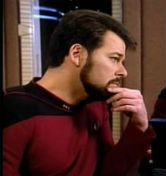 If you shave your cheeks, you end up with a style of beard known as the goatee. 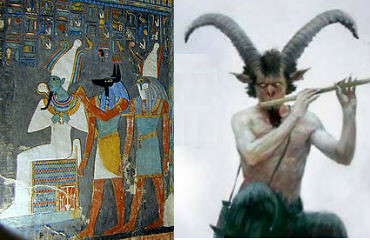 The Egyptian god of the underworld, Osiris, and the Greek god Pan were often depicted in art with a goatee. This is no coincidence, as the devil, the real "god of the underworld", also has a goatee, and we all know pagans really worshipped the devil (Deut 32:17; 1 Cor 10:20). The resemblance can be clearly seen in the pictures below. We all know that Emperor Constantine invented Catholicism by introducing pagan practices into Christianity. Interestingly, he was the first mainstream "Christian" to be depicted in art as clean-shaven. In Egyptian creation mythology, the god Atum was androgynous and reproduced asexually. The Egyptians had a strongly matriarchal religion, revolving around the worship of Isis. Images of Queen Hatshepsut depict her with a goatee, a symbol of her deification after death. There is a lot of gender confusion here. God is male. He has specified His preferred gender pronouns in His Autobiography, where He always refers to Himself with He/ Him/ His/ Himself. And He created mankind with two distinct genders – male and female (Gen 1:27). It's all very black-and-white. God hates androgyny, transvestism and transgenderism. It is a sin for a man to dress as a woman, and vice versa (Deut 22:5). It is a shame for a man to have long hair (1 Cor 11:14). And it is shameful for a man's beard to be shaved (2 Sam 10:4-5). Paul tells us that nature should dictate men's and women's hairstyles, as men naturally grow short hair and women naturally grow long hair. 1 Cor 11:14 Doth not even nature itself teach you, that, if a man have long hair, it is a shame unto him? 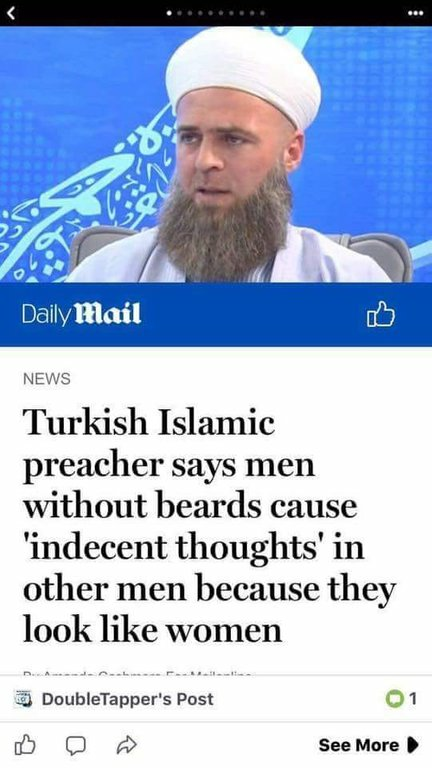 Surely this extends to the beard. Paul also tells us that no effeminate man shall enter the Kingdom of God. The only time God's people were permitted to shave in the Bible was during a purification ritual (Lev 14:9), but under the liberty (2 Cor 3:17; Gal 5:13) of the New Covenant, the ceremonial law was abolished, so now there are no circumstances in which we are allowed to shave and we all have to grow full beards. We need to arrest the growing tide of paganism and gender confusion infiltrating the church in the form of razor blades and electric shavers. The price of a crisp clean shave, or corrupted style of beard, is, as for every other sin, an eternity of weeping and gnashing of teeth (Lk 13:28). But the reward for those who grow a full, neatly-trimmed beard is an eternity of endlessly worshipping before the throne of God (Rev 7:9-12). For those who would like to learn more about the perils of shaving, there is a much more in-depth essay at Truth Watchers, a highly-recommendable website. Thank you, Brother Pendergast, for bringing this to the attention of our men here. There is an additional problem, shaving chests. 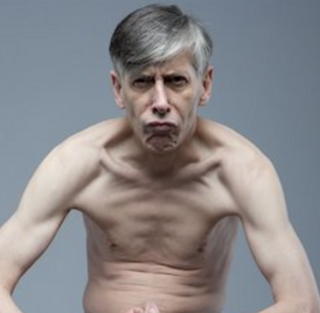 Every Spring when the men's cross country team from Landover High School is training I see runners who have shaved their chests. It takes a lot of my time, but I stop each one to scold them for looking like women. They need to stop doing this. The picture of the beardless man - disgusting! Anyone with half a brain could tell that he was a queersexual! How long until feminazis ban the bears, because it differentiates men from women hence patriarchy? I did shave on the advice of a certain True Christian™. Rest assured though, it's all growing back to look like my profile pic again. If God wanted us to all look like babies, He would not have given us facial hair! It can be no coincidence that Barack Hussein Obama II does not have a beard! And what of our Godly President Trump? The man is so gosh-darned good looking, God's made an exception to the rule for him. Indeed, Mr Mayor. It's a commonly-held myth that shaving your chest and/ or legs will make you run faster. This makes absolutely no sense. Cheetahs are the fastest land animal, and they are covered in hair. We can safely say that the prohibition on shaving also applies to men and women shaving their legs, armpits, chest and nether regions. Far be it from me to speak against the Lord's anointed (Ecc 10:20), but maybe he should grow a beard. I think it would look very Presidential. My beard grows very slowly. I think I had about a two-week growth when my avatar pic was taken. That was a few years ago now. God has given me a unique hair pattern. It thins out as it goes away from my chin and disappears before reaching my ears. My moustache doesn't connect to my beard and it also doesn't connect in the middle in that dimple under your nose. I just feel sorry for the Injuns and Eskimos who will never know what it's like to wear the badge of True Christian™ manhood, like me. Dearest Brother, while our female population would be OK with this, I think it is safe to say that we feeble minded women need to allow the men in our life to make that decision. De gustibus et coloribus non est disputandum, and if you are OK with your wife looking like a chimpanzee that is fine, but not all Godly men may have the same opinion on this particular issue. Just saying. That is amazing, I think that our Godly President ( ) and our own Pastor Ezekiel Bathfire may be very closely related!! Has someone been shaving? Just remember, dearest Sister, that God's preferences and man's don't always align, and where they differ, God's take precedence. If God wants Mrs Pendergast to look like a chimpanzee, as you put it, then it is my duty to ensure that she stays that way and does not succumb to the vanity of the razor. I do, however, insist that she pluck her chin, which doesn't involve shaving. A woman shouldn't have hair there anyway. Oh, plucking is OK? That actually works perfectly, because what I've been using on my legs is an epilator. And waxing, that's just like plucking, too. Whew. Thank you, Brother, you had me really worried there for a while. Does that mean that you'll also stop eating meat during the Carnival period like we priest use to do? By the way, didn't most of ancient greek characters and their God (such as Zeus) had a long beard? The same thing can be said about the Vikings. I know I shouldn't be looking here, but I felt the need to admit, I'm a self admitted pogonophile. I feel the friction between myself and my deceased husband, Mr. Moans was his insistence on shaving. I'm confused, Dolli. You lust over little children? On the contrary, dear Dana, I detest them. Birthing so many was a duty, not a pleasure. Just look what happens when they get too close to me, as did Grenadine the other day while I was exercising. I am a firm believer that young ones should be kept in a pen while adults are otherwise occupied. Other restraints are available and proper parenting calls for their use. 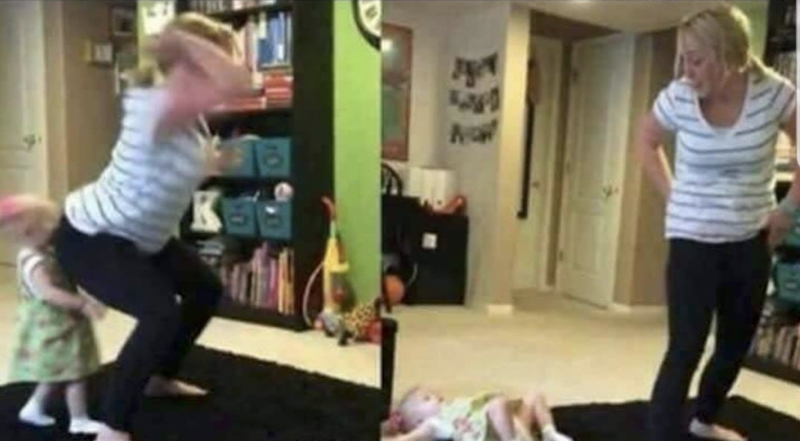 You should not have to be subjected to children getting in your way while twerking to stay fit for Jesus. I am sure this is a one time occurrence, but this Muslim has something smart to say!